Why wouldn't you mount all of that into the spare tire well and put a flameproof top on it? I definitely wouldn't want that sitting behind me and honestly, that probably won't be legal to race with. Side note: best way of getting that fuel hose fitting loose? Need to get my pump out of there. One of the larger concerns over top of the leaking etc is the permeation through the hose into the cabin, which is why I went PTFE. I can guarantee its a leak-proof system. The leaks I did have and mended where all exterior. The interior connections are solid. But yeah, you never know. Yall think I was born the day before yesterday? No Faith? As for the location, I put it there to keep it in a fairly structurally sound location, closer to the rear of the car puts it closer to an area where if impacted, could cause an issue. Its also not interfering with the storage areas ( I carry all 4 wheels in the car to the track). The line run is shorter from that location, I wanted the lines to be as short as possible. Im waiting for a response from the Gridlife staff but I am trying to address the surge tank protection for the Gridlife Event this weekend. 5..Fuel Tanks. Fuel tanks must be either OEM quality or better if using a factory style tank. Factory tanks are only permitted on cars where the tank is located behind the driver and in front of the rear wheels. Aftermarket fuel "cells" are allowed and encouraged, if properly installed and mounted . Only aftermarket cells of hard plastics/rotary formed plastic or ballistic-style bladders contained within a full, quality constructed steel box, with a bulkhead of steel isolating the driver from the box containing the cell, will be allowed. 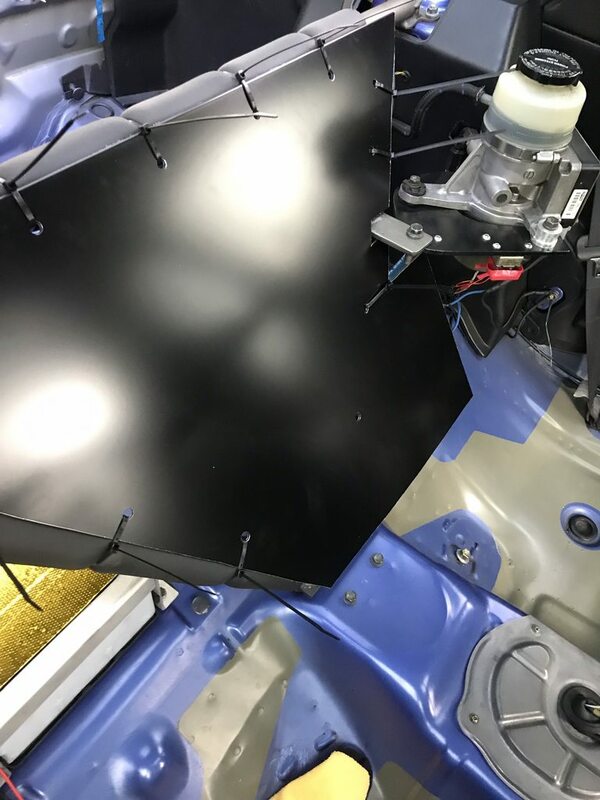 All structures holding the cell must be attached completely and entirely to the shell of the car and/or rollcage structure. Any cell deemed inadequate for completion will result in the car being denied entry. 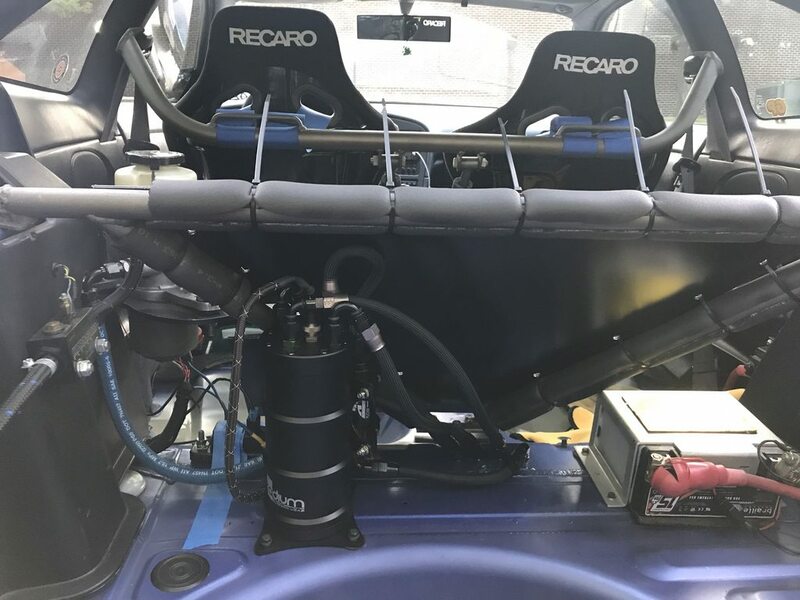 If participants have any questions on the legality or safety of a car’s fuel cell and system, email pictures and descriptions to adam@grid.life. All fuel lines must be isolated from the driver with either a metal bulkhead or shielding, and must be isolated from any sharp edges on sheet metal, etc. I tried to figure out a box setup and as expected, its way to complicated with the 3pt in the way. I rigged something up for the event this weekend.